Working in coffee houses and folk clubs, first in Toronto and then in the states, Roberta Joan Anderson, or simply Joni Anderson, and then later Joni Mitchell (taking her new surname as a result of a brief marriage from 1965-1967 to a Michigan folk-singer) begin getting attention for her song writing skills as more established artists with recording contracts begin to cover her songs. First there was folksinger Tom Rush recording “Urge for Going”, after Rush presented it to Judy Collins, who was not interested, then country singer George Hamilton IV placing it on the country charts for 21 weeks with it peaking at the number seven spot. Then Buffy Sainte-Marie recorded “The Circle Game”) and Dave Van Ronk recorded “Both Sides Now”, followed by Judy Collins recording that same song and another on her 1967 Wildflowers album with “Both Sides Now” being a major hit, by far Collins’ biggest hit, peaking at 8 on the pop charts, and 3 on the adult contemporary charts. Joni’s own chance at commercial recordings came with David Crosby hearing her in a club in Florida and then convincing Reprise records to record Mitchell as a folk-rock artist. David took ownership of production, basically taking a more-or-less hands-off approach except for the well-intended mistake of having Joni sing into the open grand piano, forcing the removal of high frequencies in final production, resulting in a lower fidelity album. With this very first Joni Mitchell album, we have a collection of songs all written by creating the music first and then adding the lyrics, and yet fitting them together in such a way so that neither is diluted. There are no major hits on this album, put there are a number of gems, the most sparkling is “Marcie”, which is representative of Joni Mitchell’s amazing ability to craft effective and meaningful words to align with her music. This is not the strongest or best selling of Joni’s many albums, but it is one no lover of music or lyrics should mistakenly ignore. It is with this very album that Joni Mitchell begins the climb to her current legendary status, and becomes worthy of being mentioned in the same sentence of earlier 20th Century greats like Cole Porter, writing music with a recognizable identity and a level of merit that earnestly invites repeated attentive listenings. All tracks written by Joni Mitchell. 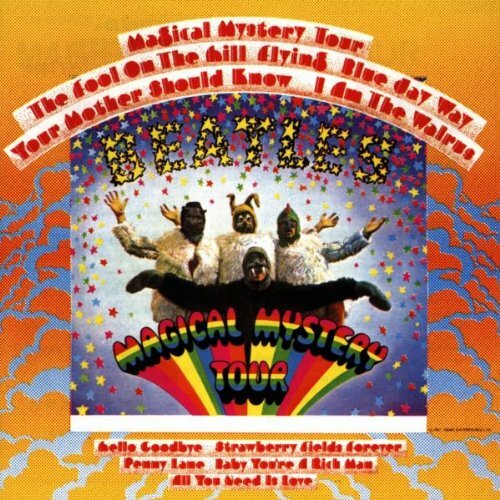 The album continues with “Spanish Castle Magic”, which again shows a more developed and innovative approach then the first album’s excellent “Fire”, including Hendrix adding a backward guitar track Though the next two songs, “Wait Until Tomorrow” and “Ain’t No Telling” are not particularly musically interesting, the arrangement adds enough life to make them solid dance selections. And, as consistent through this album, Hendrix lyrics and guitar work take these works well above the ordinary. “Little Wing”, a beautiful ballad, and “If Six Was Nine” are classics. “You’ve Got Me Floating” is a positive and upbeat diversion, with Graham Nash and Move band members providing the back-up vocals in the chorus. Introduced with backward guitar, “Castles Made of Sand” provides us with another reflective Hendrix ballad. The next song, “She’s So Fine”, is written by bassist Noel Redding, and is a prototypical English rock song, with a Who-like chorus, and some interesting guitar from Hendrix. The Hendrix guitar solo at the end is just enough to provide justification for its inclusion. “One Rainy Wish” starts out ballad-like in 3/4 (with a 4/4 and 5/4 measure added to enhance a dreamy introduction), lushful and soulful, then modulates into a heavy metal exuberant 4/4 chorus and then back to the A section with a fade out coda. “Little Miss Lover” includes Hendrix use of a wah-wah pedal, an effect that would be adapted by countless rock guitarists later on. A craftsman and perfectionist, Hendrix and his vision for this album was somewhat compromised with the objective of producer Chas Chandler, which basically was to get to the final take as efficiently and quickly as possible. Thankfully, the final track, “Bold As Love” (with lyrics openly confessing that the negative emotions are, unfortunately, as capable of being as bold as love, and limiting us in giving and receiving love) was not rushed — with at least twenty-seven takes, and four different endings tried. The song starts off, casually, then shifts to an anthem-like chorus, with the effective interplay between the verse and chorus — the chorus triumphant, celebrating victoriously, and apparently ending the piece — but instead rather providing the embers for an Olympian coda, which rises like that mythical Phoenix, accompanied by mellotron and transcendental guitar, to provide a majestic finale to a song and an album unlike any other released in 1967. One may be tempted to ask how musical history would have been different if Chas Chandler had produced “Sgt. Peppers” and George Martin had produced “Axis: Bold as Love.” But like all such silly speculation (what if Lekeu age 24, had lived as long as Schubert, age 31, and Schubert had lived as long as Mozart, 35, and Mozart had lived as long as Chopin 39, and Chopin had lived as long as Beethoven, 56, and Beethoven had lived as long as Stravinsky, 88) time is much better spent listening to those musical masterpieces left to us by the musical masters of their time. “Axis: Bold as Love” is one of those masterpieces. Raised singing gospel and touring with her minister father on gospel caravan tours, first accompanying his preaching on piano and later singing on his gospel tours from church to church, Aretha Franklin recorded her first album in 1956 at the age of 14, “Songs of Faith”, a album of nine gospel songs recorded live. At 18, Aretha chose to pursue a pop career, like her close friend Sam Cooke, who she had known when he was in the Soul Stirrers, and signed with Columbia records. Columbia had little interest of what was best for Aretha, and determined to make her into a commercially viable jazz-pop singer, ignoring her gospel background and making touring and song selection choices for her based on converting her into a marketable and commercially successful commodity — but basically failing at that over the course of recording eleven commercially disappointing albums. Fortunately at the end of her Columbia contract, Aretha signed with the smaller, independent label, Atlantic Records in 1966 and Atlantic gave her the green light to not only chose her own songs, but determine how she would sing, perform and arrange them. Now in control of the artistic process, Aretha also composed songs, played piano and brought in her two sisters Erma and Carolyn to provide backup vocals. The result was an artistic and commercial success where Aretha used her full range of talents and drew on her gospel experience to provide a expressive, vital album, distinctive, yet intimately familiar. 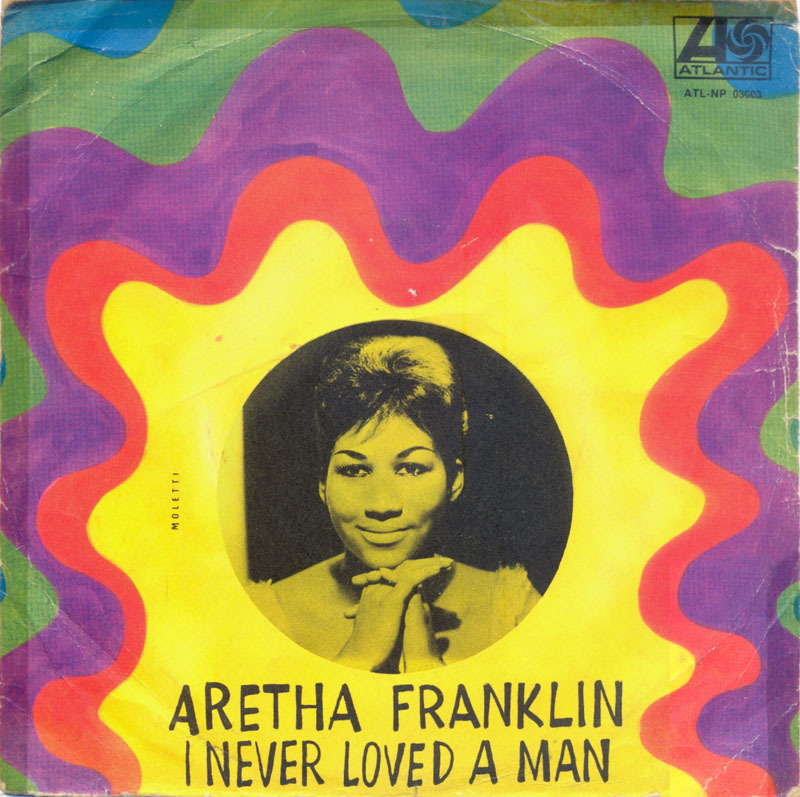 On this new album, “I Never Loved a Man the Way I Love You”, Aretha combines a wide range of musical and emotional expression coherently, consistently, and consummately throughout all eleven tracks. The vocal nuance and subtitles captured here make this album a classic that can be listened to over and over. This music and singing owe much to the gospel music of Aretha’s cultural heritage, but the lyrics are secular and, like traditional blues, address flawed social and inter-personal relationships. Tracks like Otis Redding’s “Respect”, the song many people today directly associate with Aretha Franklin, “I Never Loved a Man” and “Do Right Woman, Do Right Man” are particularly notable, but one can pick any song on this album to savor the beauty and artistry of Aretha Franklin’s exceptional vocal delivery. Appropriate musical support is provided, including King Curtis on saxophone. 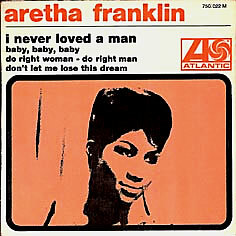 In addition to this landmark album, Aretha provided us four number one singles on the R&B charts in 1967, two from this album, plus “Baby, I Love You” from her second 1967 Atlantic album “Aretha Arrives” and “Chain of Fools.” Also of note is Aretha’s 1967 recording of Carol King’s “(You Make Me Feel Like) A Natural Woman” written especially for Aretha and appearing on her third Altantic album, “Aretha: Lady Soul” recorded in 1967 and released January 1968. It would be just fine for me to completely skip over Simon Dupree & The Big Sound, except for one extremely important consideration: three of the band members (brothers Phil Shulman, Derek Shulman and Ray Shulman) would later form Gentle Giant joining up with keyboardist and composer Kerry Minnear. The UK was awash with bands of young musicians emulating American Rhythm and Blues. 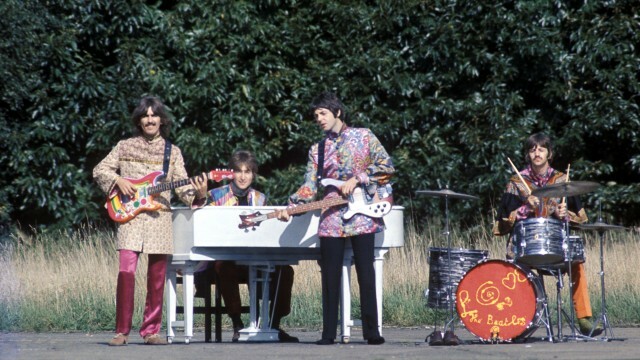 We all know about the early Beatles, Stones, Animals and Pretty Things. Few Americans, excepting die-hard Gentle Giant fans, know much about Simon Dupree & the Big Sound. At some point in the mid-seventies, I had seen a lineage tree of where members of various seventy bands had come from: Keith Emerson of ELP had come from The Nice, Carl Palmer from Atomic Rooster and before that Crazy World of Arthur Brown, Greg Lake from King Crimson and before that the Gods — that sort of thing. Will this “ancestry chart” showed that the three Shulmans came from Simon Dupree & The Big Sound. I looked in the Schwann LP Catalog for any listing and saw none. Clearly any albums they ahd recorded were out of print. Doing some further research I found they had one Top 10 UK singles hit, “Kites“, which reached the number eight position. Years later, in 1988, I was then very lucky to find the single on a juke box in the UK in a pub in Holyhead, Wales while sipping on a pint of local brew and killing time while waiting to catch a ferry to Dublin. I got out some local pocket change and played both sides, listening to “Kites” three times and the B side, “Like the Sun, Like the Fire” twice. Despite the mellotron, xylophone, gong, wind-machine, and actress Jacqui Chan‘s seductively spoken Chinese on Kites during the instrumental passage, I preferred the B side, which sounded closer to very early Gentle Giant and included a bridge with a soulful Derek Shulman vocal and a brief bassoon, oboe and clarinet instrumental section and a final brief marching band coda. Almost thirty years after hearing this track for this first time, I found out this song was co-authored by the one Shulman that wasn’t ever a part of Gentle Giant, Evelyn King, the elder sister to the Shulman brothers. Simon Dupree and the Big Sound, based in Portsmouth, home of the Shulmans, was not named after any band member (the band was primarly the three Shulman brothers supplemented by Peter O’Flaherty on bass guitar, Eric Hine on keyboards, and dummer Tony Ransley.) Originally the group’s name was “Howlin’ Wolves” befitting of their R & B style, later changed to the Road Runners, and then finally replaced by Simon Dupree and the Big Sound at the suggestion of a local Portsmouth music promoter: Dupree was the name of an established and well known local family in Portsmouth. Simon Dupree would continue on for a couple of more years with several attempts to score a second hit after Kites, but with no success. At one point, for a tour of Scotland, they had to replace an ill Eric Hines with an unknown keyboard player, Reggie Dwight (later Elton John, of course) for a tour of Scotland. Dupree ended up recording an Elton John/Bernie Taupin tune, “I’m Going Home” for the B side of a recording of a James Taylor tune, “Something in the Way She Moves.” For whatever reason, Elton was not invited to remain as part of the band. Perhaps in some parallel universe, there is a recording of “Three Friends” with Elton John on keyboards. Whether that would have charted higher or lower than #197 on the Billboard 200 is open to speculation. Fans of Gentle Giant can pick up all the Dupree recordings in the CD “Part of my Past” which includes all their studio-recorded tracks, mostly from 1967, with a few tunes from 1968 and 1969. As long as one keeps one’s expectations under check, there are enough interesting moments to make listening to this worthwhile and to further one’s understanding of the important role Kerry Minnear played in what was most exceptional about Gentle Giant and in why the overall low quality of “Giant For a Day” can be inferred to be due to a diminished role for Kerry Minnear, the composer. Jazz fan’s will likely know of Antonio Carlos Jobim two albums with Stan Getz, particularly the first one, Getz/Gilberto containing “Desafinado” and the classic version of “The Girl from Ipanema” with Astrud Gilberto‘s seductive vocals. That first album, added fuel to the already burning fiery desire of Americans to hear and dance to bossa nova, and elevated Jobim to a marketable American music business commodity. “Wave”, released in 1967, became Jobim’s best selling album, providing smooth, comforting music for middle America and many non-jazz record consumers. The music is well-crafted, well-arranged and well-performed with Jobim playing guitar, piano, celeste and harpsichord, Ron Carter on bass, Urbie Green on trombone, and a small string orchestra with french horn and flute/picolo all providing the most mellow dance music possible. It is not exactly jazz and, in a sense, sets the tone for a genre of music that would be called smooth jazz, a style not demanding listener attention or involvement, but played for its soothing, relaxing qualities. Such smooth or background music became prevalent in shopping centers, in restaurants and in many work places that now added such music or substituted smooth jazz for the previously provided muzak. In 1987, Los Angeles radio stations KMET, once one of the coolest, most progressive album-oriented, FM radio stations in Southern California, changed its letters to KTWV and called itself “The Wave” playing “adult contemporary jazz” becoming one of the un-coolest, most un-progressive stations in the Greater Los Angeles area ultimately influencing other radio stations to take the same path. Of course, none of the blame should be attributed to this fine Jobim album; it is just worth noting that soon background music became virulently prevalent, irking many musicians that believed music should be actively listened to and not absorbed. All tracks composed by Antônio Carlos Jobim. Frank Zappa and his Mothers of Invention did not produce either easy listening music or anything that could be considered conservative. 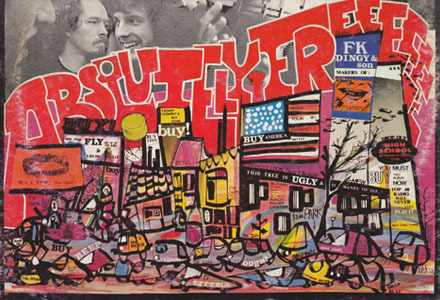 This is the Mothers of Invention’s second studio album and every bit as adventurous as the first including mixed meter and quotes from Stravinsky’s three most famous ballets, “The Firebird”, “Rite of Spring” (“Le Sacre du printemps”) and Petrushka. Each side of the original LP can be viewed as a single piece rather than a set of unrelated tracks due to redeployment and relationship of music material. Humor is a inseparable part of this innovative album that many Zappa fan’s cite as one of their favorites. So even though this is much closer to standard fare than later Captain Beefheart albums, it contains a number of adjustments to standard rock/blues that make this an album worth checking out. “Yellow Brick Road” borrows the first part of its melody from “Pop Goes the Weasel” but strays off into its own tune with a mix of innocent and suggestive lyrics. “Autumn Child” pushes into both art-rock and progressive rock territory with its Zappa-like opening and changes in meter, texture, tempo and mood. Electricity” is the stand-out track, with lyrics and music flirting with psychedelia (note the guitar imitating the sitar), blues, bluegrass, and rock, and, once past the brilliant introduction, is very danceable. The rising oscillations of a thermin closes out the song. Whereas one can put on “Waves” (and even “Absolutely Free” under the right circumstances) and delegate it to the background with little trouble, if one does this with some of the Beefheart “Safe as Milk” tracks like “Electricity”, “Plastic Factory” and “Abba Zaba”, they simply become distracting and annoying; however, play this album on a good audio system that can untangle the aggressive texture into individual and distinctive voices and the music flies by and, if not always pleasant, is unexpectedly absorbing and engaging. All songs written by Herb Bermann and Don Van Vliet except where noted.